Aletha Maybank ’96 says she often receives emails like the recent one from a graduate student at the Bloomberg School of Public Health. 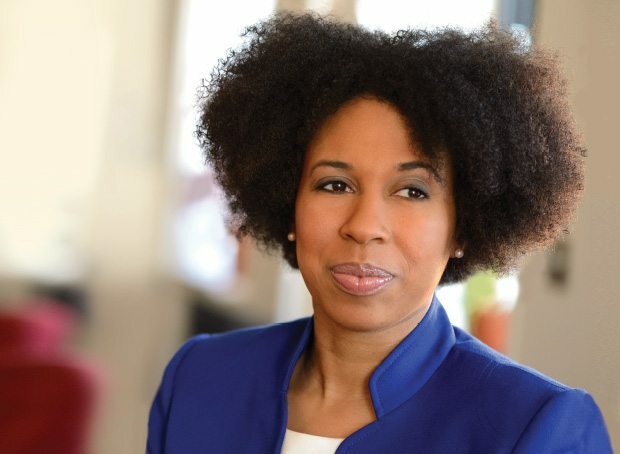 In her position as assistant health commissioner, Maybank oversees a bureau called the District Public Health Office, which is responsible for public health issues in some of Brooklyn’s most at-risk communities, including Bedford-Stuyvesant, Brownsville, Bushwick, and East New York. Her office’s mission: promoting health equity and reducing health inequalities for low-income families and communities of color. Toward that end, she works to address and improve infant mortality rates and maternal health, and to promote physical activity through City Bike and other programs. She also connects with farmers markets and community grocery stores to promote healthy eating. Outside of her work as health commissioner, Maybank has addressed public health through a number of outlets including “Doctor’s Orders,” a series of columns in Ebony magazine; MSNBC’s the Melissa Harris-Perry show; as well as on ARISE America, a news program on the global channel ARISE TV. She is also a co-founder, with her friend and fellow physician Myiesha Taylor, of Artemis Medical Society, an organization that supports female physicians of color through networking, advocacy, and mentoring. Younger audiences might recognize Maybank, however, from the We Are Doc McStuffins videos she and several colleagues made for Disney Junior. The animated series features a 5-year-old African-American girl who doctors her stuffed animals with professional aplomb. In their videos, Maybank and her colleagues demonstrate the real life future of the popular fictional character. Maybank’s video is a sweet coincidence: She was given a doctor’s kit as a child after her mother heard her daughter announce that she wanted to be either a dancer or a cashier when she grew up.